Actresses are beautiful and are always featured in media. We get to see them, fantasize about them and appreciate their talent but, we usually forget about the person who gave birth to them. To honor the great personality who have given birth to the artists we enjoy in the screen, this post is dedicated to them. 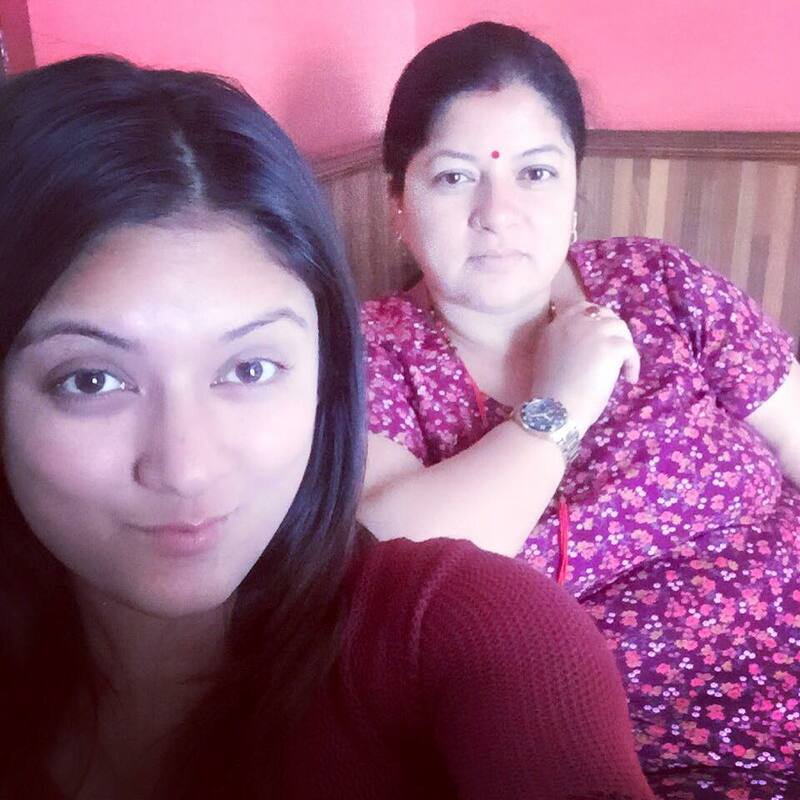 Following video talks about some of the actresses who have shared the photos of their mothers in social networking sites. 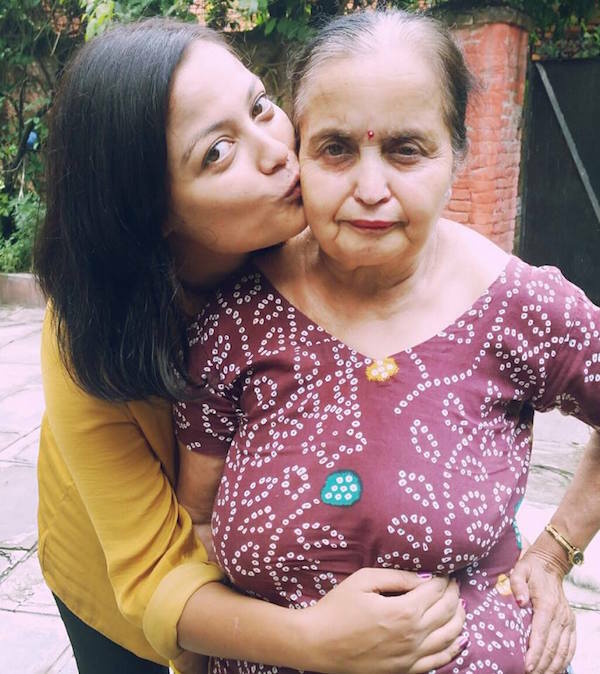 The actresses like Rekha Thapa and Priyanka Karki regularly share the photos of their mothers. 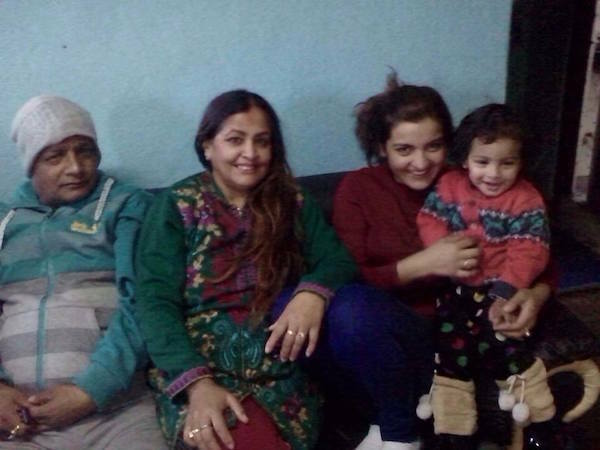 Rekha lives with her mother and she even joins her daughter in her foreign tours. 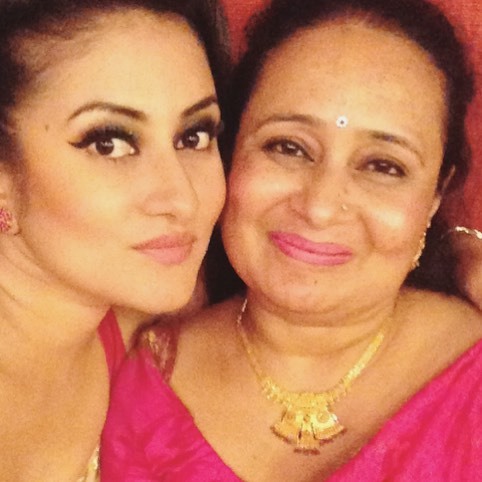 Priyanka also loves to share her mother’s photos in Facebook and other social networking sites. 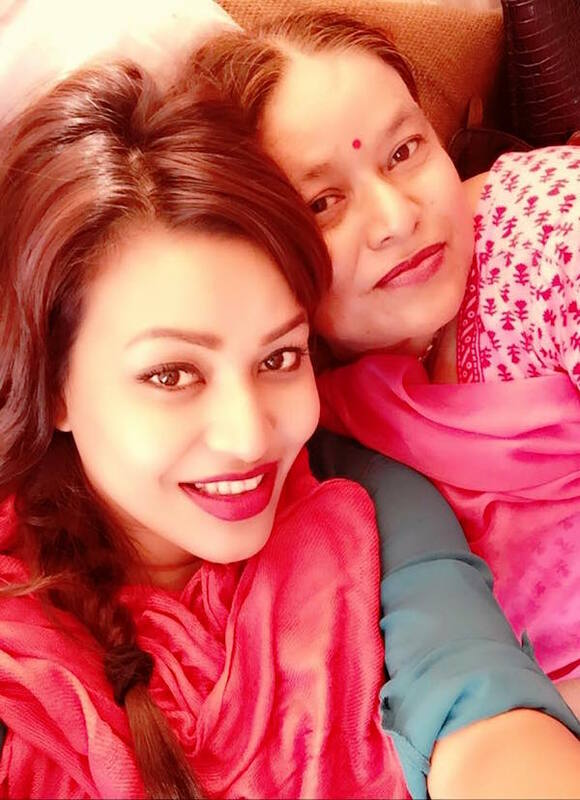 Other actresses mentioned in the video include Rajani KC, Surabina Karki, Saranga Shrestha, Gauri Malla, Nandita KC and others. In addition to the photos hared in the video above, we have more photos of the mothers of other actresses. 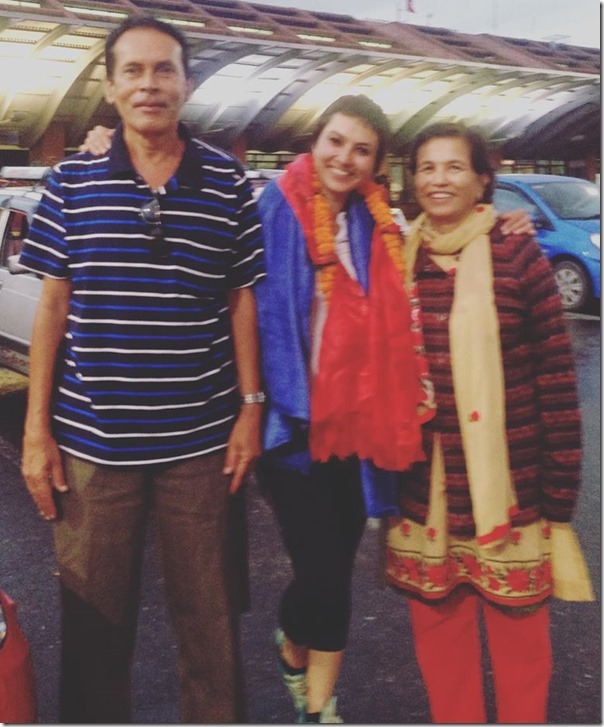 Mother of actress Nisha Adhikari – Nisha Shared this photos with her parents at the airport on October 14, 2015. 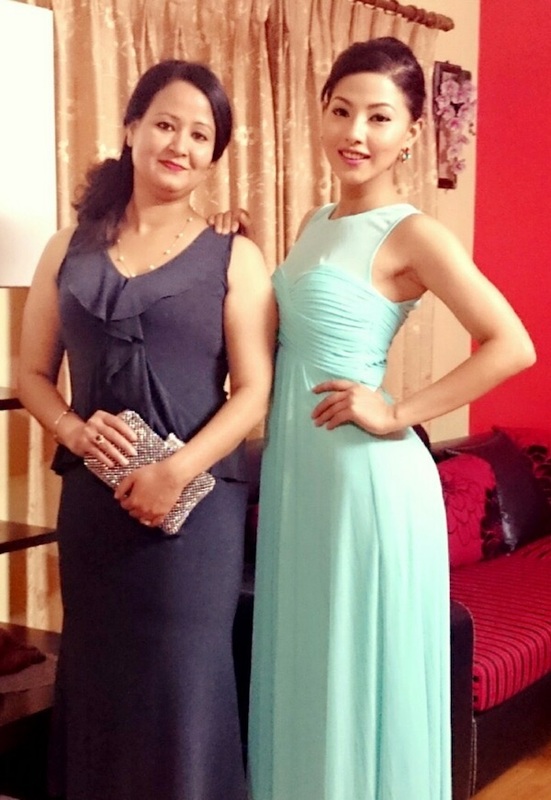 Actress Rista Basnet‘s mother is an actress herself. 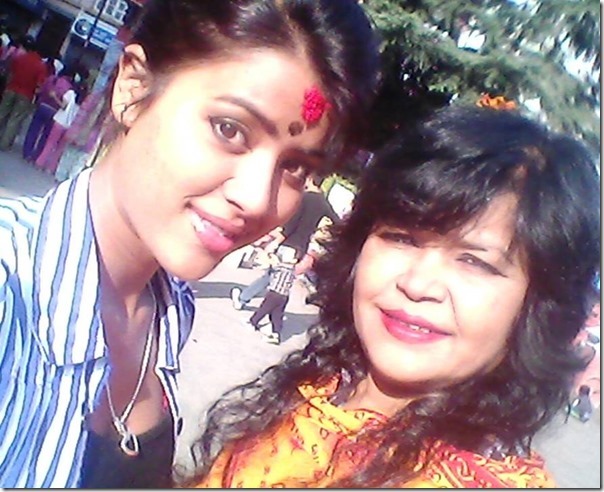 Rista’s mother Bipana Basnet is popular for her role as the fake Hisila Yami in comedy serial. 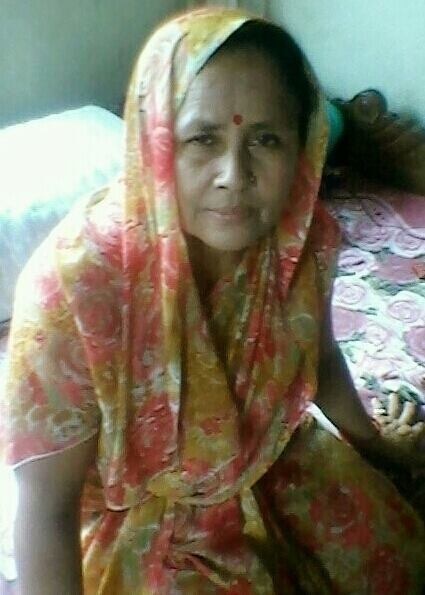 UPDATE (November 24, 2015) Mother of Ashma DC : Today is Ashma’s mother’s birthday. 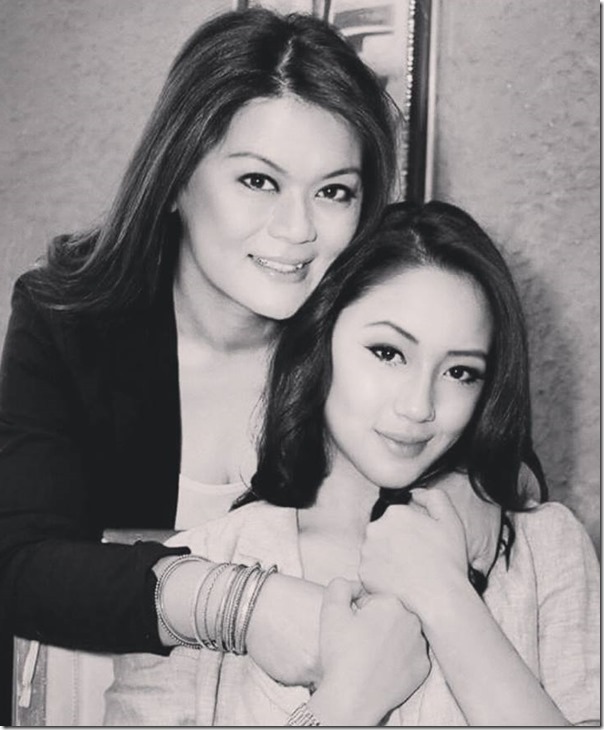 Happy birthday to the mom of the beautiful actress. We will update this post with more photos of mothers. Stay tuned. 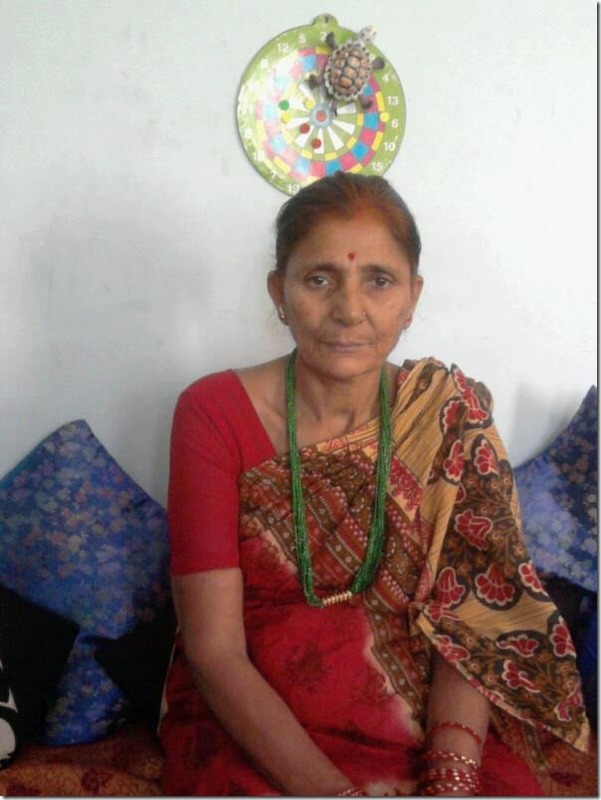 August 4, 2016 – Mother of Samragyee RL Shah added. 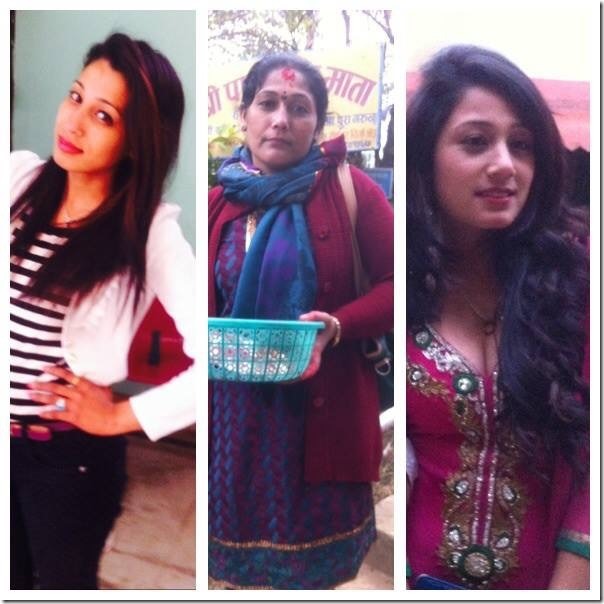 This entry was posted in Gossips and tagged Anna Sharma, Arunima Lamsal, Ashma DC, Barsha Raut, Bipana Basnet, Jiya KC, Malina Joshi, Priyanka Karki, Rajani KC, Rekha Thapa, Richa Sharma, Rista Basnet, Samragyee RL Shah, Sarita Lamichhane, Surabina Karki. Bookmark the permalink.